New to Market- Spacious Loft-Studio on the elite 27th floor. Living on the 27th floor provides you with a high level of service where you will become a member of Quintessentially- an exclusive club, offering VIP benefits perfect for the on the go executive. One will also have unlimited access to the private members lounge where you can grab your morning cup of coffee and complementary breakfast. This Armani Casa designed residence boast high beamed ceilings (13 ft) and oversized windows with Western exposure. The open kitchen is outfitted with top-of-the-line appliances- Subzero refrigerator, Miele stovetop and oven & Miele dishwasher. The XXL bathroom features a separate bathtub and recessed rain shower complimented with exquisite stone, bronze, exotic woods. There is a washer and dryer in the apartment for all the conveniences. 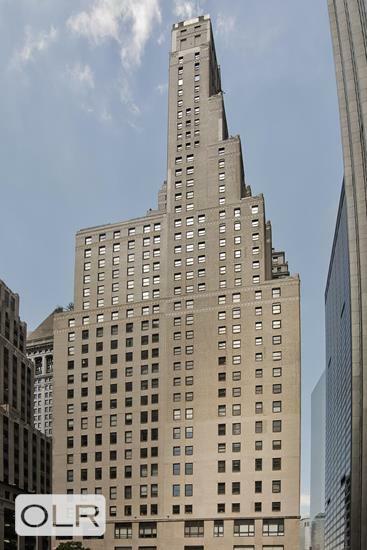 The building offers white glove 24 hour doorman along with Armani designed amenities, including a Library Lounge, Fitness Center, Yoga Studio, Billiard Rooms, Golf Simulators and a Lounge. The Collection Pool and spa offers a pool, treatment rooms and Turkish bath. On the25th floor there is a terrace Lounge with reflecting pool & Sun-beds.